We are finally starting to get some consistently beautiful weather here in BC. I wanted tonight’s dinner to be fresh and light. Something that I could enjoy on the deck as I wind down my day. 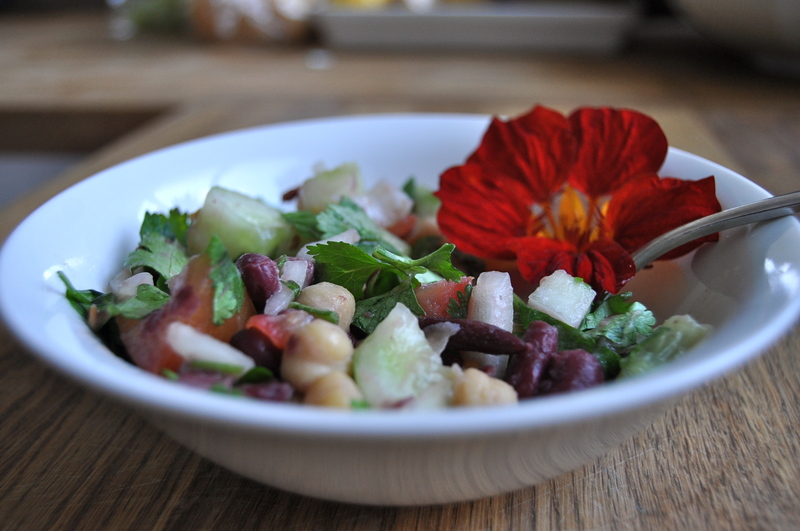 Is anyone else obsessed with chickpeas? 🙂 Packed with fibre and protein they keep me full and I recently learned they are also high in iron (especially important for us women) and manganese (1 cup = 84.5% RDA). Their nutritional profile combined with their low cost and versatility make them a staple in my diet. This recipe gets better the longer it sits. If possible, make in the morning and have marinating until dinner. This is perfect food to pack on a hike, to a picnic, or to the beach (no mayo!). I hope you love it. Mix all ingredients in a large bowl. Taste. If necessary, adjust the amount of lemon juice to give it a nice tang. It should be slightly salty. The salt flavour mellows as it sits, pickling the vegetables. If possible, let stand for a few hours or overnight. Goes great with a side of rice. *Vegans– eat as is (super delicious), top it with some sliced avocado and use some organic blue corn tortilla chips to scoop it up *Vegetarians– pimp it with some feta cheese *Carnivores– add some cooked prawns to the top. 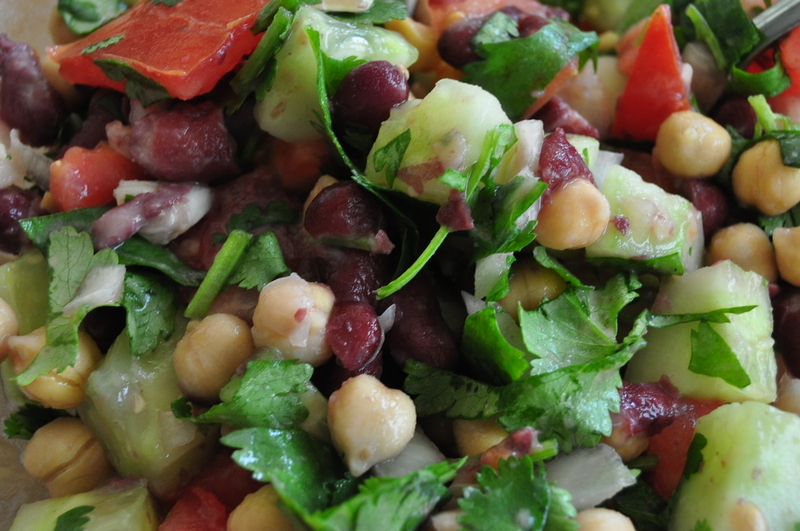 This entry was posted in main, salad, snack, vegan, vegetarian and tagged chickpeas, cucumber, dairy free, food, fresh, gluten free, healthy, lemon, light, recipe, salad, tomato, vegan, vegetarian. Bookmark the permalink.